Natural stone walls are a great resource for architects and interior designers that are looking for the connection between space and nature. As if they were sculptors, this versatile material allows designers to give a different shape to each interior according to their objectives and needs. 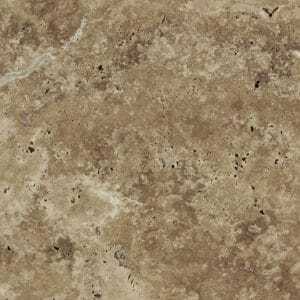 For this reason, the varieties, colors, textures, and finishes of natural stone provide an almost infinite range of possibilities. 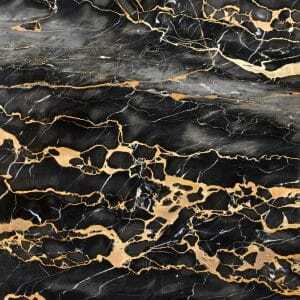 We are talking about marble, travertine, onyx and many other large and beautiful stones. They bring tangible value to the building: natural stone is a valuable material that will be noticed by every eye with a taste for quality. They give personality to any room, making it unique because there are no two blocks of stone that are the same. Natural stone walls ennoble any environment due to the elegance of their lines and finishes. Let’s take a look at some of the projects with natural stone walls carried out by TINO Natural Stone in collaboration with renowned architects and interior designers. TINO Natural Stone participated by providing the Royal Travertine cladding that covers the living room fireplace. 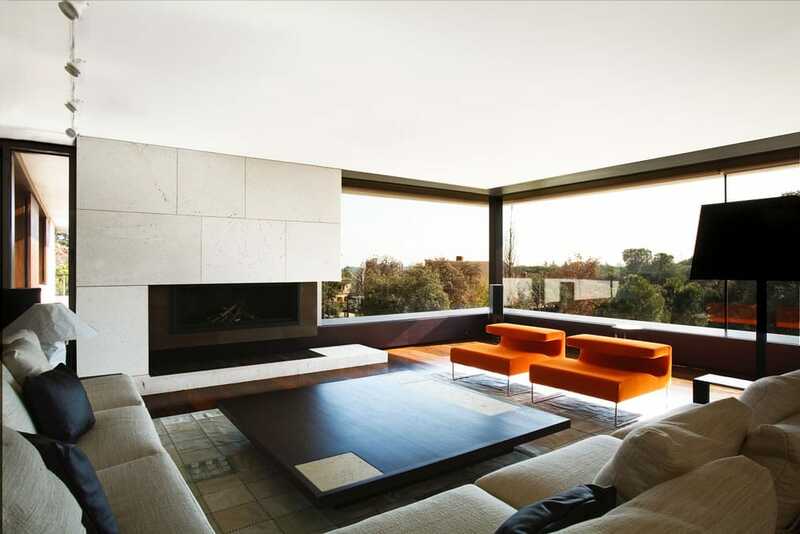 The straight lines and very clear tone of the travertine allow the light that enters through the window to flow easily through space. This material makes the fireplace a delight to the eye and to the touch. 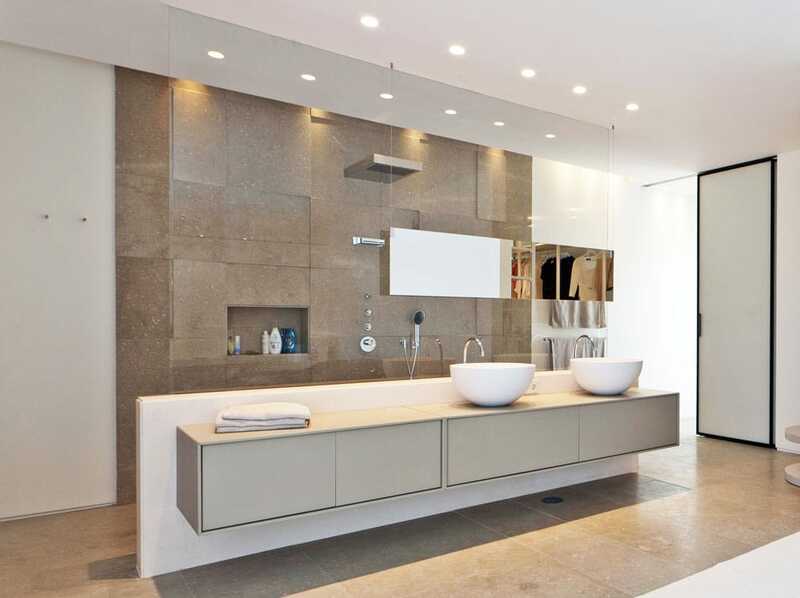 This time TINO provided Osiris Grey for the walls of one of the bathrooms of this luxury villa in Marbella. The particular motifs of this natural stone make up countless fossils that are millions of years old. It is integrating the testimony of an instant that took place in remote times into one’s home. All this without sacrificing quality and charm. Let’s change the subject to enter into this emblematic residential complex in Panamá. With this beautiful natural stone, TINO Natural Stone took part in cladding the walls and flooring some of the common areas of the building. Architect and designer were looking for a different and sophisticated look to play with gold and even fluoride color furniture. The perfect base for it was none other than the dark gray of Sinai Gray. 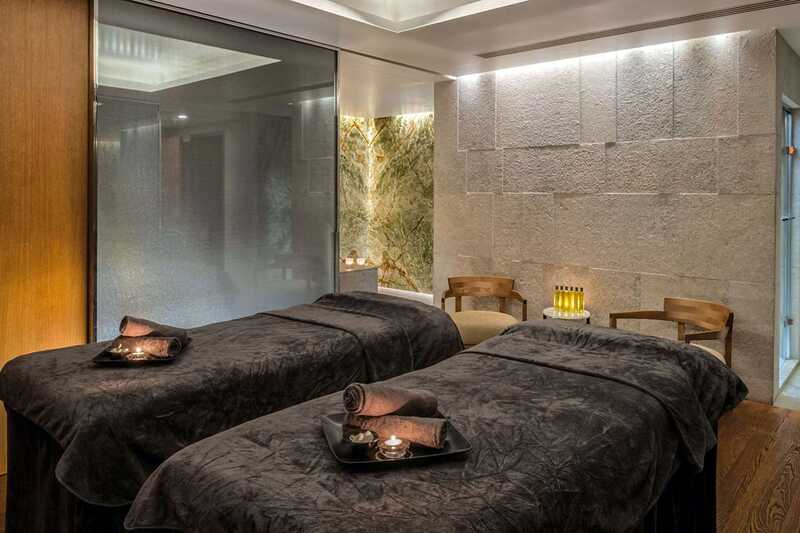 On this occasion, TINO participated by applying a luxury stone on the walls of the Spa. It is nothing less than the Green Onyx, such a beauty that it is considered a gem. This type of semi-precious stone wall favors the play with the lighting elements and gives the space an indisputable personality. Onyx again but this time it’s Fantasy Onyx and White Onyx. 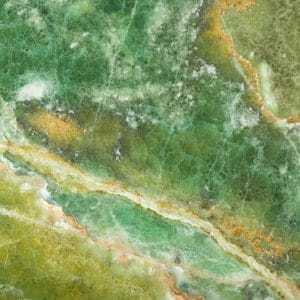 As we can see from the image, the translucency of this exotic natural stone has been used to introduce light elements into it. 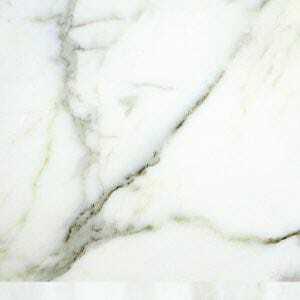 In the areas of the wall without onyx, TINO contributed Calacatta marble, one of the most beautiful and exclusive white marbles available. In this case, the natural stone walls are in the form of a frieze. 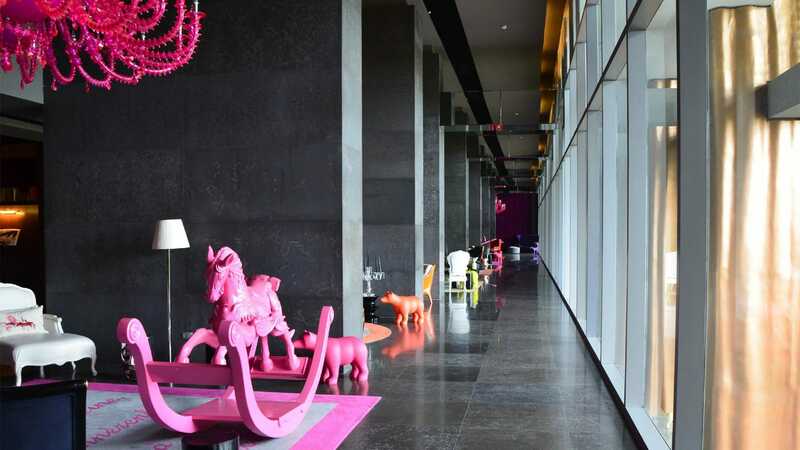 In this way, this material with an intense look due to its texture and color warmly envelops the atmosphere but does not recharge it, because it only covers the middle height of the room. TINO provided Travertine Classic for this exclusive bathroom. 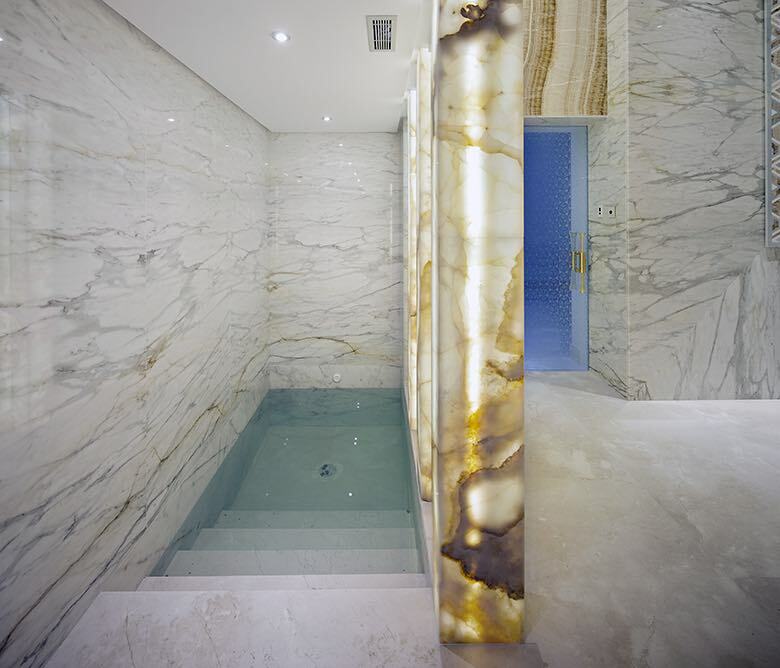 If you want to continue reading about natural stone, visit our last post “Seven marble indoor pools that are a marvel” or visit our professional area. If you are considering including natural stone walls in your project click here to contact us.